﻿ Little Garden Guesthouse & Restaurant, Kampot - SAVE ON AGODA! 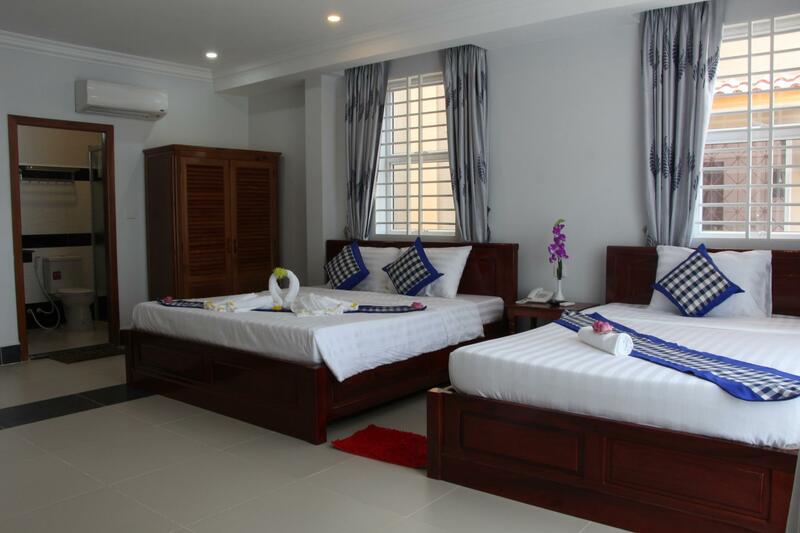 "Very nice reasonably priced on the river road in Kampot." Have a question for Little Garden Guesthouse & Restaurant? "The hotel is very clean and open." "Have a wonderful lobby area to enjoy a beverage and watch the activity on the river." "Rooms were clean and spacious." "I will return and stay here"
Situated in Kampot City Center, Little Garden Guesthouse & Restaurant is the perfect place to experience Kampot and its surroundings. From here, guests can enjoy easy access to all that the lively city has to offer. No less exceptional is the hotel's easy access to the city's myriad attractions and landmarks, such as Durian Roundabout, Old Market Street, Golden Hands Massage & Spa. Offering hotel guests superior services and a broad range of amenities, Little Garden Guesthouse & Restaurant is committed to ensuring that your stay is as comfortable as possible. This hotel offers numerous on-site facilities to satisfy even the most discerning guest. 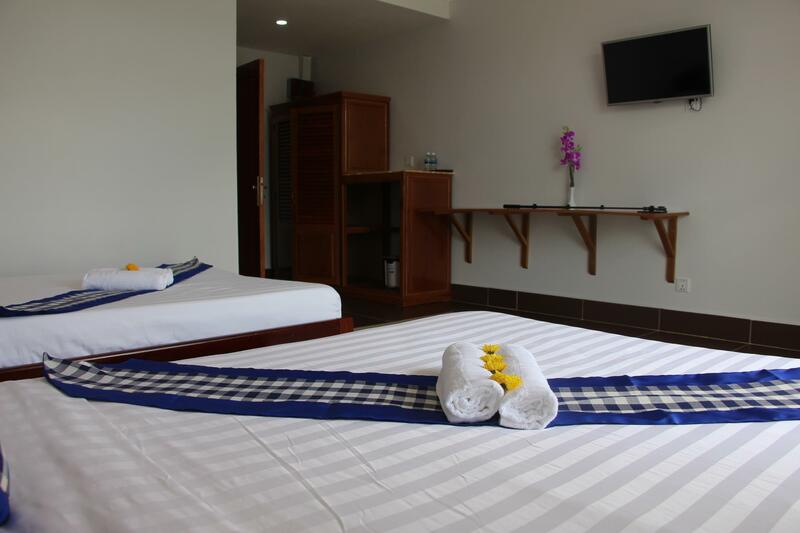 The ambiance of Little Garden Guesthouse & Restaurant is reflected in every guestroom. television LCD/plasma screen, slippers, towels, internet access – wireless, internet access – wireless (complimentary) are just some of the facilities that can be found throughout the property. Throughout the day you can enjoy the relaxing atmosphere of the massage, garden. With an ideal location and facilities to match, Little Garden Guesthouse & Restaurant hits the spot in many ways. "I loved this hotel - great staff and awesome location." All was very good and the location is great. The only thing I was breakfast. I like bread in the morning, but they only had rice. Very nice reasonably priced on the river road in Kampot. The hotel is very clean and open. Have a wonderful lobby area to enjoy a beverage and watch the activity on the river. Rooms were clean and spacious. The included breakfast was cooked to order. Probably one of the nicest places in Kampot. We stayed here twice. On the 1st occasion for 1 night only. The toilet did not flush properly. The hand basin tap was loose and dirty. The railings on the stairs need a good cleaning and a coat of paint. The 2nd visit was for 2 days. The extraction fan in the bathroom was not working. When I complained I was told that they could not fix it. The water pressure for the shower was poor. The basin tap was either dirty or very old. Definitely needs cleaning or replacing. There was no plug for the basin. I got the feeling that they only attend to the bare essentials. Would not stay here again. We enjoyed our stay in Kampot. The hotel was convenient for places we wanted to go. The room was not that great, for the price it was fine. What really made the holiday was the reception staff. Fantastic. large openspace balcony areas with great views over river. ideal riverside location, helpful and friendly staff. had a good stay. restaurant in front is convenient, and has a varied selection of meals to choose from. This is a good hotel in which to base yourself during a stay in Kampot. It is safe, modern and convenient. The room I had was a good size and clean. The hotel is on the river in ka pot and so is located quite conveniently. The only issue with this hotel was the noise that came from the festival across which seemed to be on each night I was there making it impossible to sleep until around 1am each morning. A small guesthouse by the river, good standard for the price. great location along thw river front. easy to walk to centre. staff were really friendly and didnt feel over charged for tours etc. i did not care for this hotel. the room is basic with very dingy lighting. 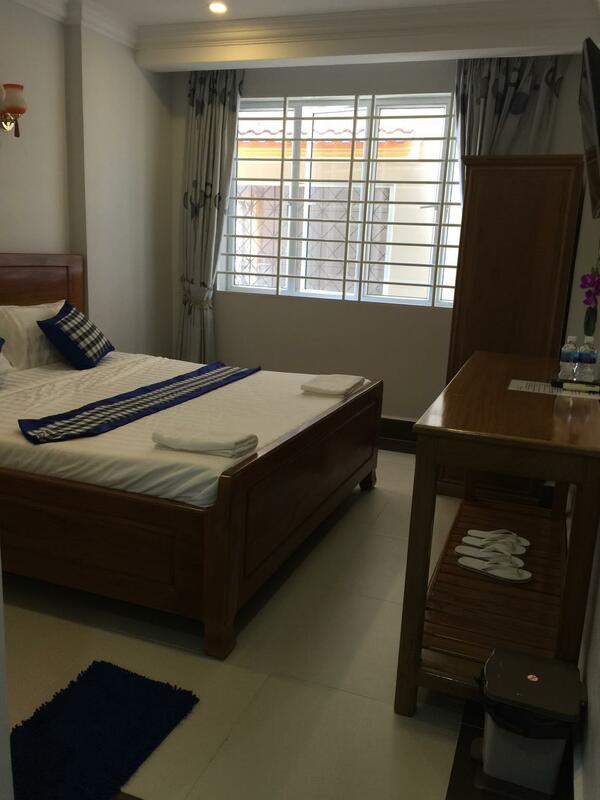 this is a very highly priced one bedroom in kampot and the room and service should be better. there was no housekeeping service during the stay. at the very least, they should sweep the floors and empty the trash daily, this being dusty southern cambodia where flushing toilet paper is a no no. wifi didn't work in the room but was stronger from the hallway. room did not include amenities such as shampoo, etc. one more thing, regarding safety, since it's been noted in previous reviews, the lock on my door was weak. i wouldn't trust it if you have valuable equipment. from inside the room there's a deadbolt but obviously you can't use it when you're not there. there are also signs everywhere stating that the hotel is not responsible for stolen goods, so i guess that's how they've decided to handle that.